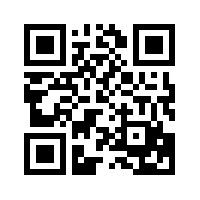 Wanna get tipsy? 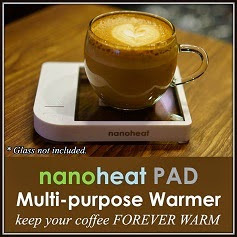 On caffeine that is. 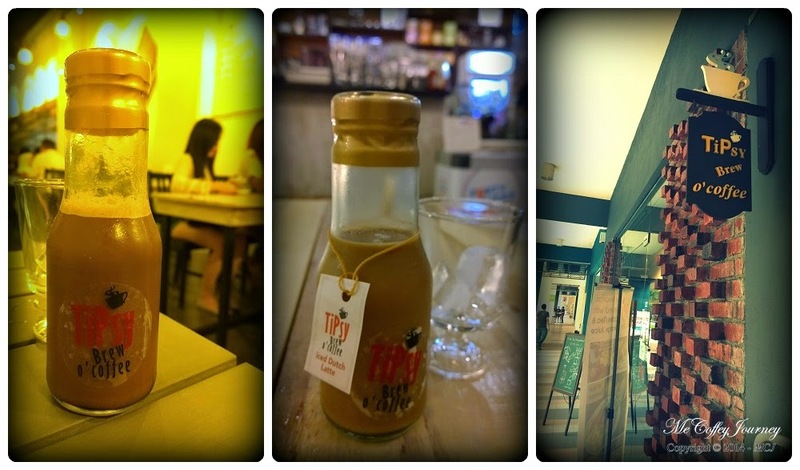 :) TiPsy Brew O'Coffee is one of the earliest batch of cafes opened in Setia Walk, besides CAFFEine;. 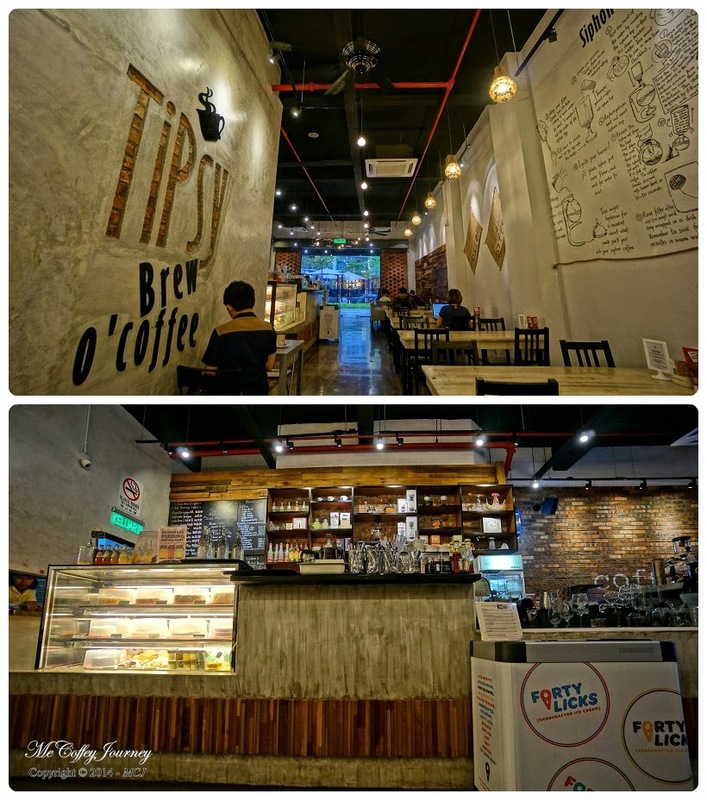 Located in the center of Setia Walk (Block C - Ground Floor), TiPsy Brew O'Coffee is one noticeable cafe with bricks wall and a clear glass entrance that one could peer into to see the beautiful and cozy environment inside. Brick and cement element surrounding the wall. Lots of bare bricks and cement element surrounds the cafe, and including the warm yellow lights, they keep the cafe feeling cozy and comfy throughout the day. Suspended books on the ceiling (bottom right). 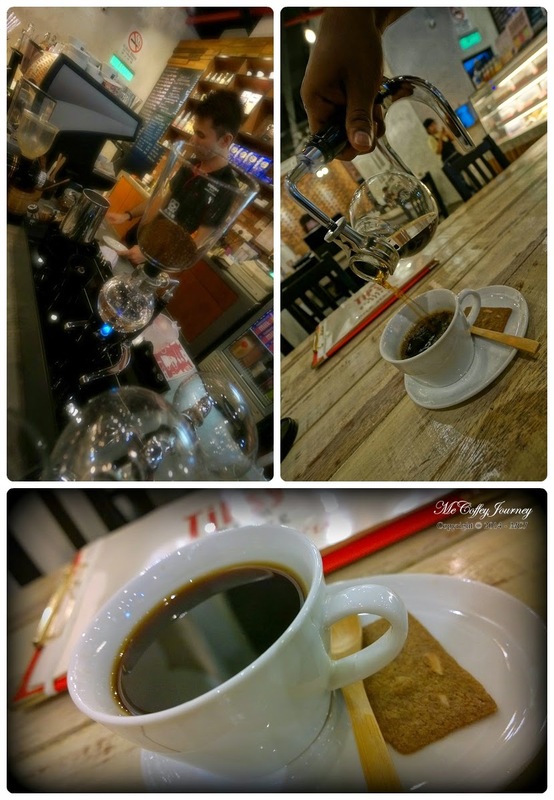 Now why could you get high from caffeine here at TiPsy Brew O'Coffee? 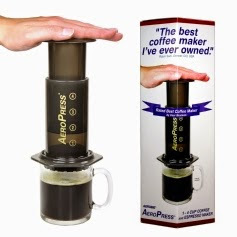 It's the variety of coffee you could get from here! Besides the usual espresso-based coffee, there are 10 different single origins available for your caffeine needs, from the affordable Sumatran to the high end Jamaican Blue Mountain. COE - Costa Rica Finca Leoncio, brewed via siphon. 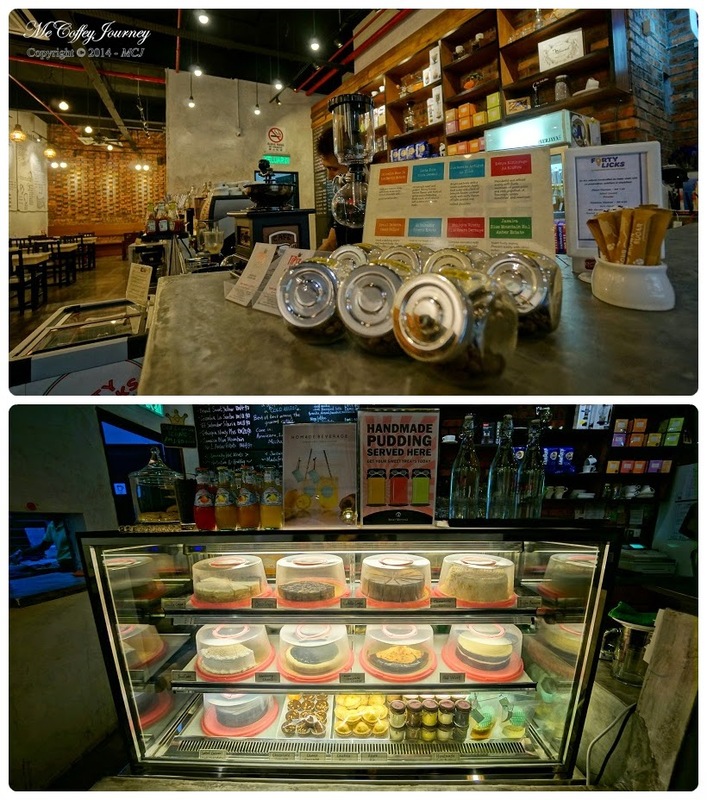 Not many cafes in town that I know of have COE beans in their arsenal, or Cup of Excellence, besides the upcoming franchise coffee Coffea Coffee. These beans are the ones that are given the most prestigious award in annual competitions held in several countries to identify the highest quality coffees produced. Iced Dutch Mocha (left) and Iced Dutch Latte (middle). 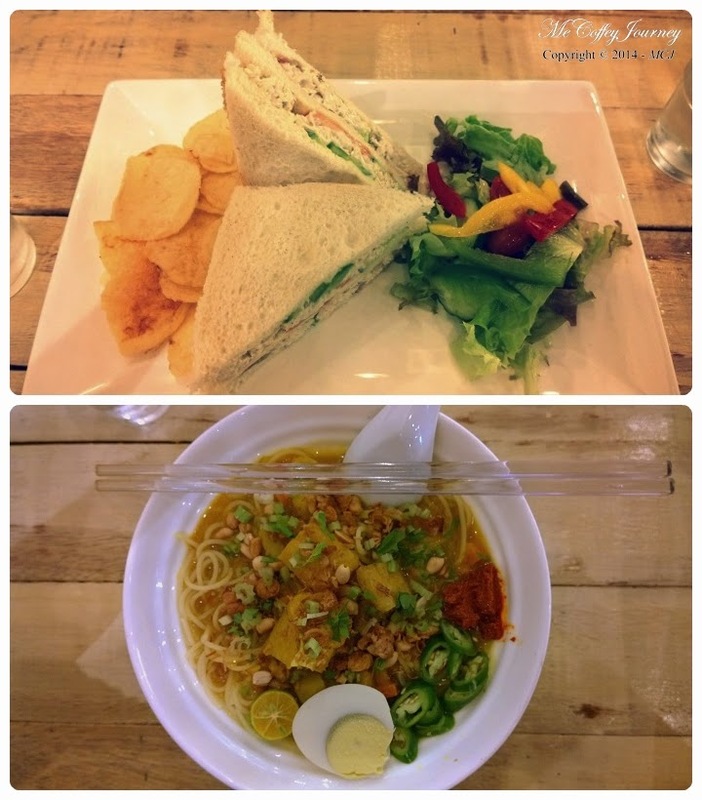 Chicken sandwich (top) and mee rebus (bottom). When you are tipsy, you tend to get hungry. 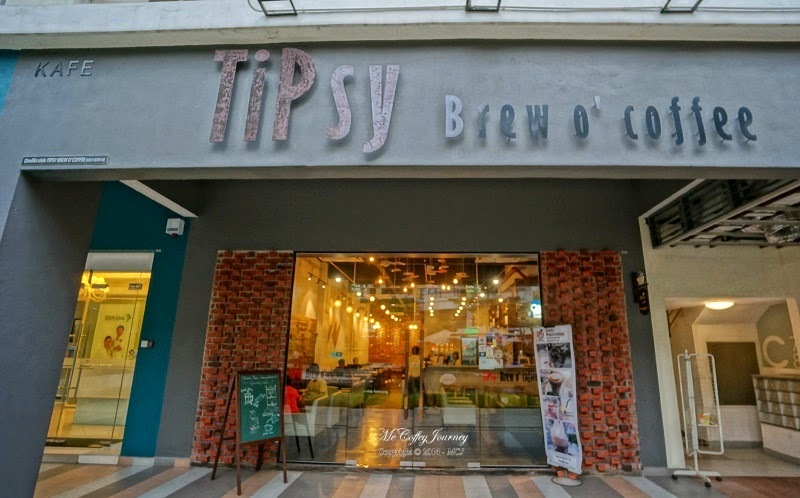 TiPsy Brew O'Coffee serves food too, both western dishes like chicken chop and sandwiches, and Malaysian dishes like mee rebus. Single origins coffee beans samples (top) and cakes and pastries (bottom). 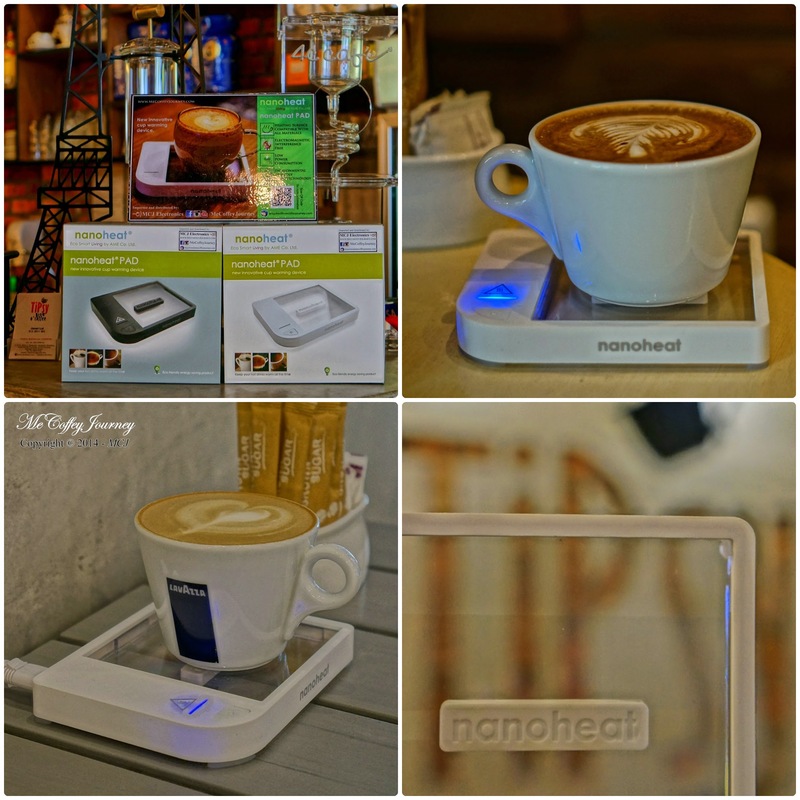 TiPsy Brew O'Coffee truly spoils caffeiniacs with their wide range of coffee: beans and brewing methods. 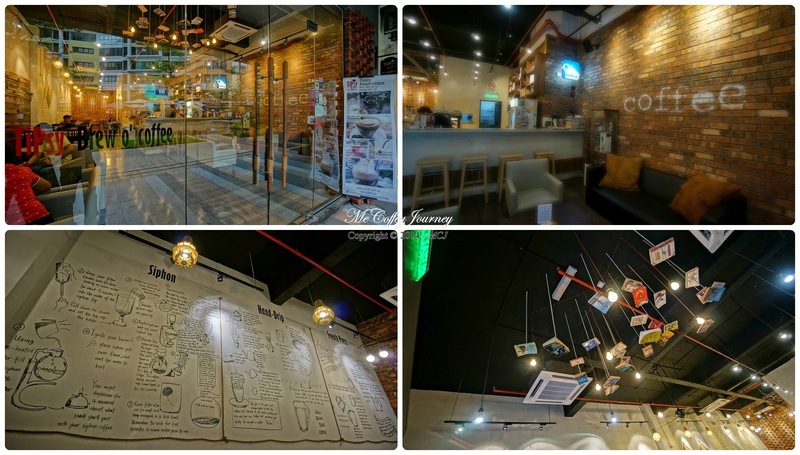 Plus the cozy environment facing the beautiful Setia Walk water feature view outside the glass entrance, need I say more?